Gotta say I really don’t know how I haven’t started using firm tofu until last week. I often eat silken tofu in laksa and the like and have had firm tofu in seafood noodles before but only fried it for the first time the otherday. Here I have done it with some bits and pieces out of the fridge for lunch. 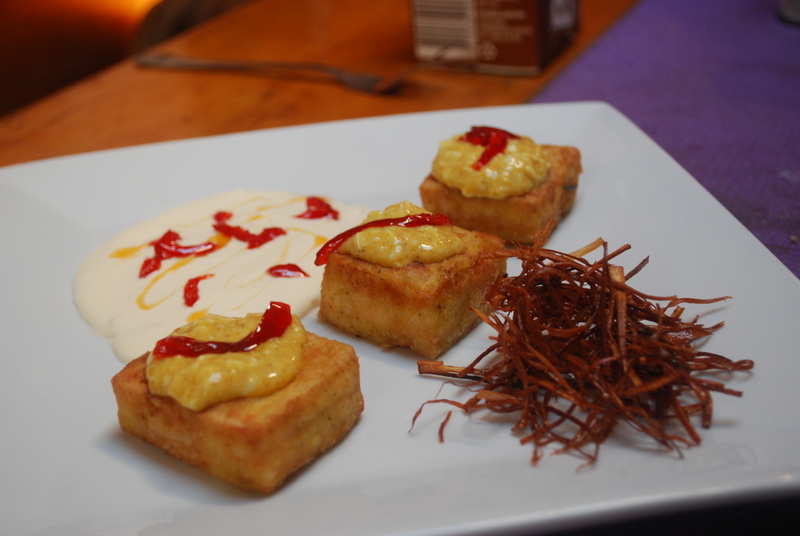 Its tofu dredged in seasoned cornflour topped with curried egg and a sliver of red capsicum relish served with creme fraiche and horseradish cream and parsnip slivers. 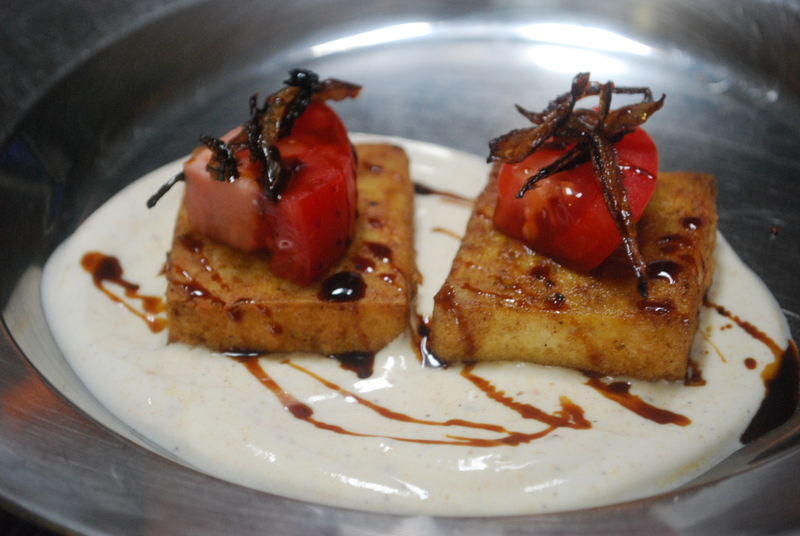 Oh thats more of the relish garnishing the creme fraiche.